Well February was a bear -- eighth coldest February on record here in Tennessee, or so they tell me. The last few days have been a breath of fresh air and I'll soon be posting photos of Spring busting out all over. 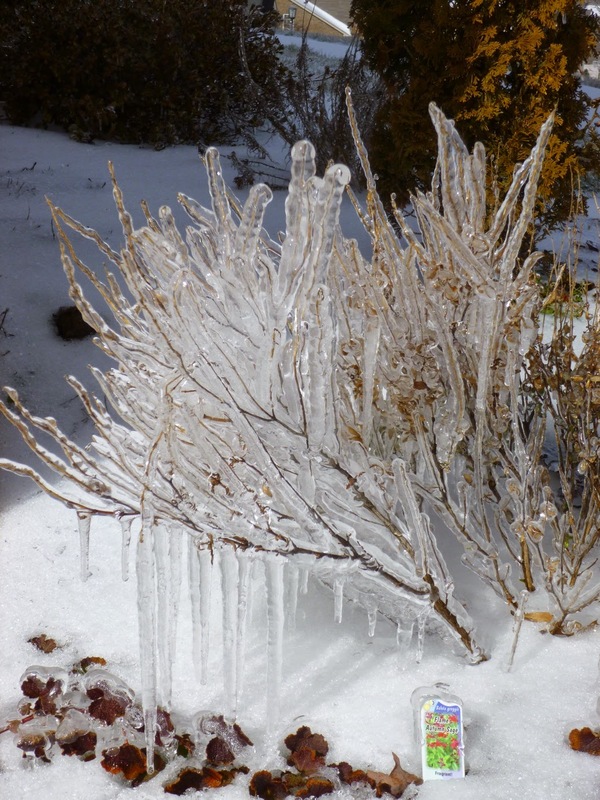 But for now, the most interesting garden photo I have on my camera card is from one of the ice storms we got a couple of weeks ago. Salvia greggii 'Flame' not looking so hot.